Mobile devices, such as phones or tablets, became a crucial part of any business process, and work time-tracking process is not an exception. This article will help you to discover how to create a Time Tracking mobile app and link it to your online database solution. You’ll see how, just in a few clicks, your employees will be able to register their working time, write their comments, add a conclusion and upload photos, if needed. Moreover, your app will define and store work duration and employee location automatically! Let’s assume, your database serves a billboard advertising agency, which is placing ads on billboards. 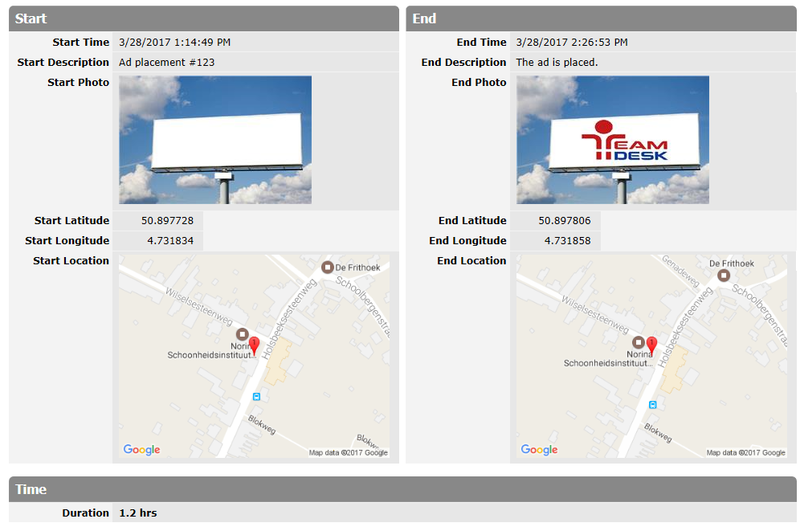 A manager needs to track the time spent by each operator on each billboard. Each operator must be a TeamDesk database user and should hold a mobile device having TeamDesk mobile client installed. 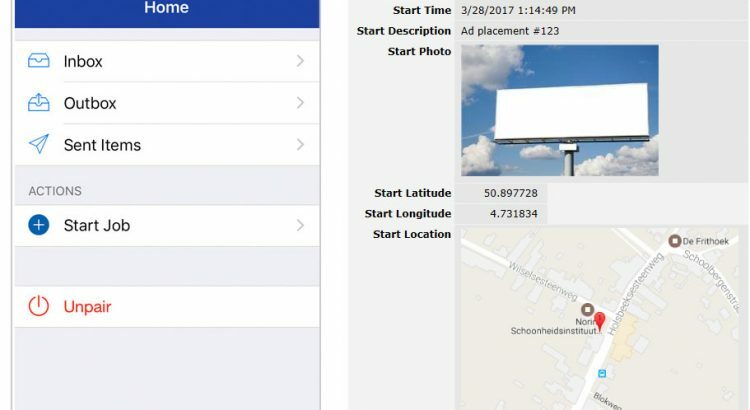 When an operator approaches a billboard, he/she launches TeamDesk mobile app and clicks on the “Start Job” link to start a new job record creation. 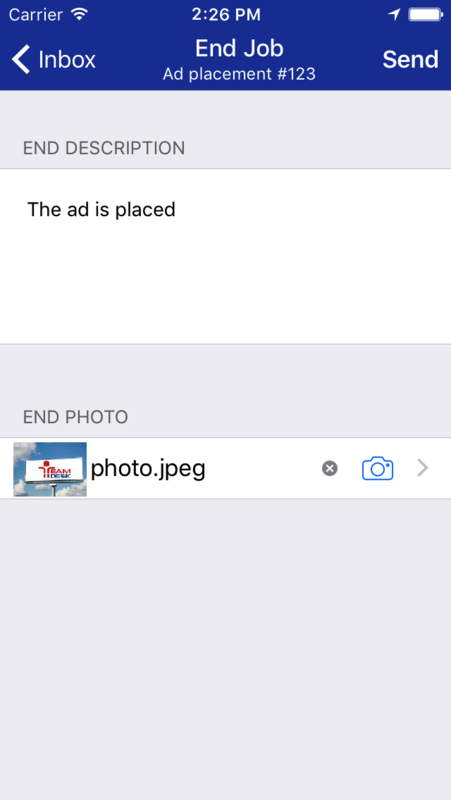 On the next screen, the app prompts to fill a description and/or upload a photo. 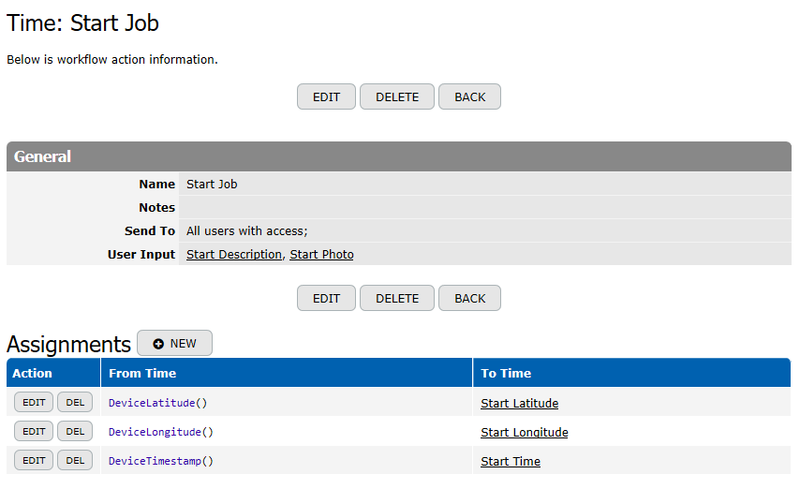 “Send” button submits “Start Job” – related data to the database. When the “Send” button is pressed, “Start Job”- related parameters, such as time and location are defined and logged in automatically. If an operator doesn’t even have an internet connection, the job start will still be logged and registered by the app, utilizing an internal mobile device storage. Whenever the operator reached an Internet connection, the stored record gets uploaded to the database and becomes accessible to the manager for time tracking . The operator begins placing an ad poster on the billboard. When the job is finished, he logs the result into the database. If an Internet connection was available at any moment since the time, when the job was started, then the End Job request is already displayed in operator’s TeamDesk mobile client app. It means that the job record had been added to the database, so now the operator may click on the “End Job” link to fill in the “End Job data”. 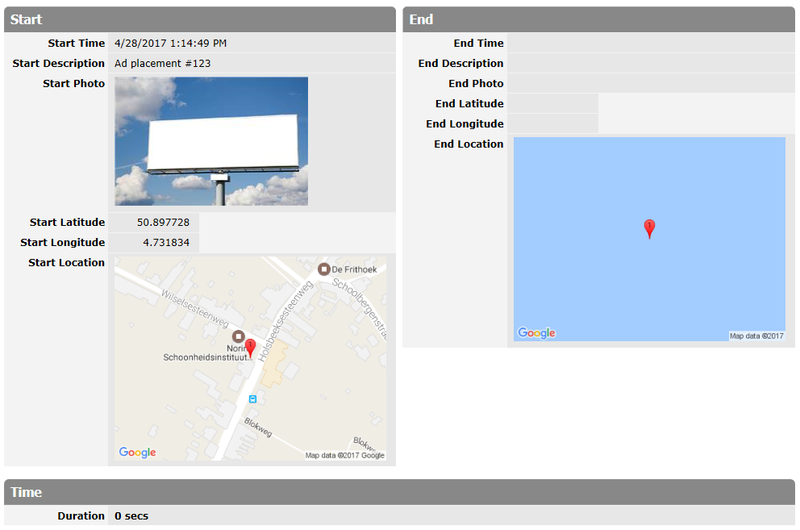 For instance, the job result can be described in the [End Description] field and the photo – billboard with a new poster – can be uploaded. Pressing the ‘Send’ button at the top-right corner submits the data and updates the record if an Internet connection is available. As a result, an existing job record gets updated in the online database. Now, the manager can see the time tracking data (when the job was finished) and can review job results. In short, you need to create two actions. The “Mobile Device Record Create” action generates a new Job record in the database and fills in the columns keeping the Start Job data. The second action is called “Mobile Device Update Record action”. 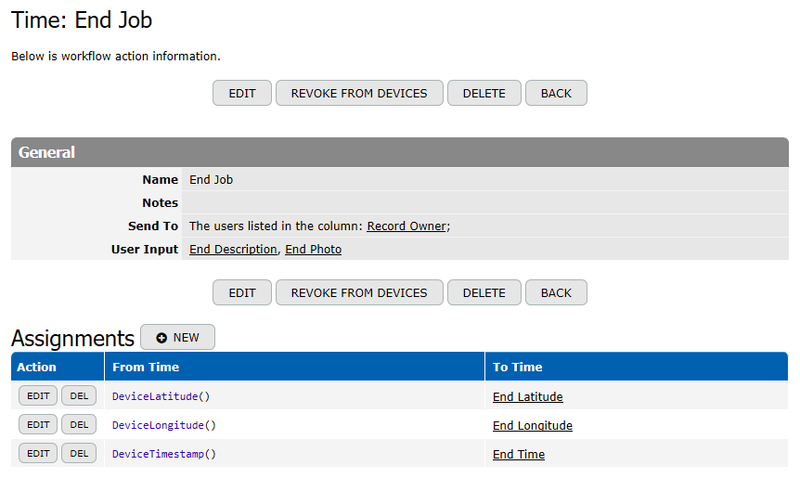 It updates an existing Job record by filling in “End Job”-related columns’ values. 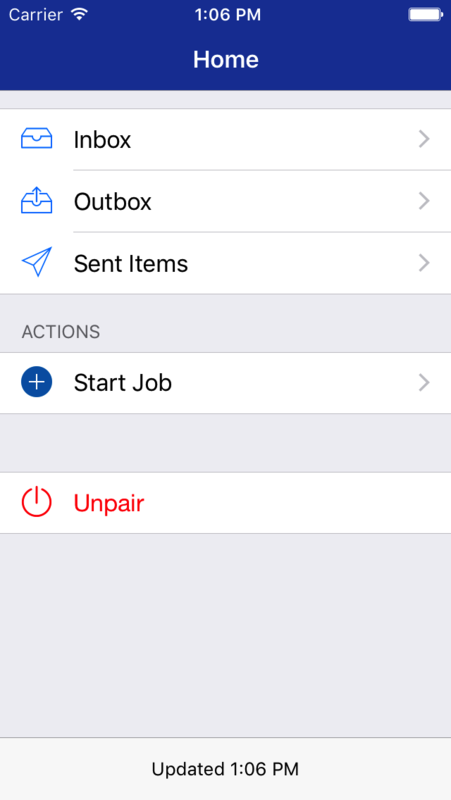 Both actions will be activated via a mobile device at the time when a user clicks on the “Send” button. This will add Job-related records, comprising start and end info, into your online database. [End Latitude] and [End Longitude] numeric columns to store an automatically-defined latitude and longitude of the place, where the job was completed. Moreover, you can create formula-columns calculating work duration and location. 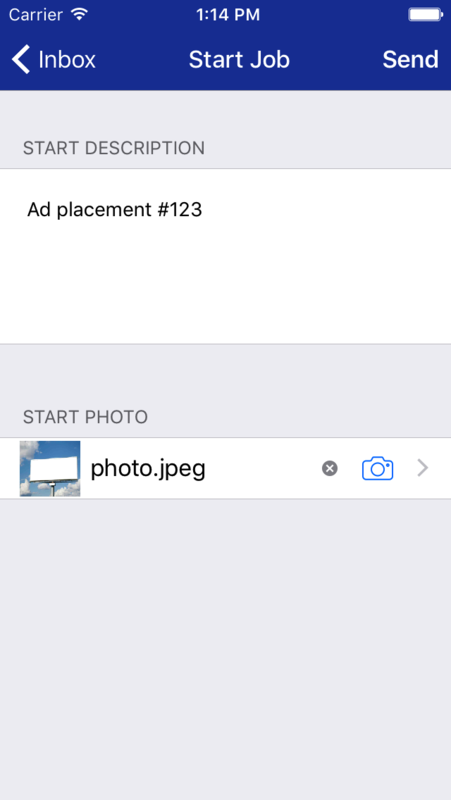 The next step – you need to add the “Mobile Device Record Create” action. 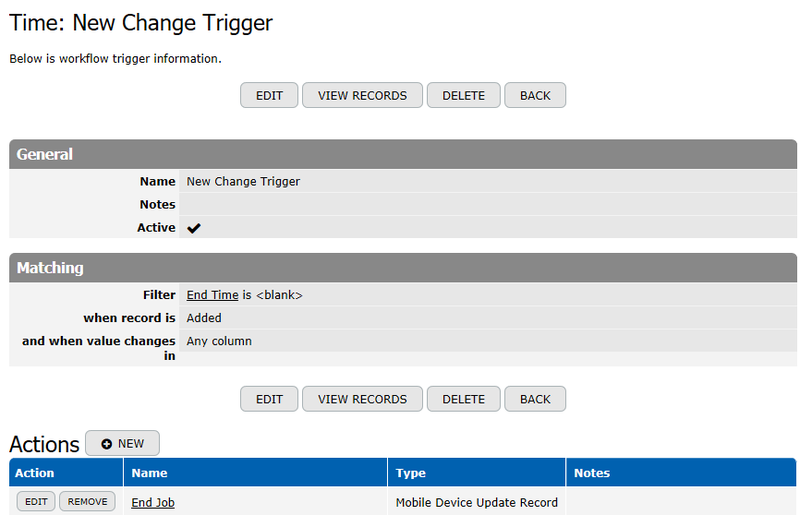 Now you need to create a “Record Change Trigger” and a “Mobile Device Update Record” action. All necessary “actions” are now added. 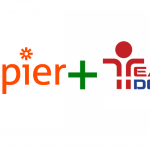 The next step is “pairing” a mobile device to TeamDesk user account. 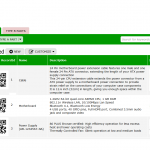 Follow instruction displayed on mobile device screen and pair it with TeamDesk user account. 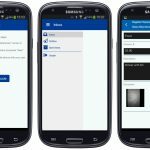 TeamDesk Mobile Client app serves as a centralized place to receive and organize work actions from all different TeamDesk databases where a user has an access to. Thus, the user can receive the mobile actions log using his/her smartphone or tablet. Feel free to order “Time Tracking Mobile Database” trial to test how it works.